To Preserve, Promote, and Present 19th Century Melodramatic and Historical Theatrical Productions. In 1965, a group of community members decided that Oakhurst needed something to get the tourists driving through town on their way to Yosemite National Park a reason to stop (and spend money) in our Mountain Village. With the help of the current Chamber of Commerce, the "Golden Chain Theatre" was born. Performances were held at the Oakhurst Community Center, and the theme was - 19th Century Historical theatre, and MELODRAMA. The community took immediate pride in the newly-formed troupe, and soon, it was obvious the players were outgrowing their space, and were ready for the next step -- they needed their own building. In 1972, the founding board members took a big chance -- each put their own houses up as collateral to purchase the Snowline Bowling Alley, and convert it into a theatre. With unparalleled vision, this dedicated group re-vamped the old bowling alley, converted the lanes to an auditorium, "downdated" the Saloon, installed a few gift shops, and opened the doors. In 1999, the Board of directors announced at the annual Awards Night Banquet that the final payment on the mortgage had been made -- the Golden Chain Theatre now owned it's facility outright. It's 2005, and we continue to grow, develop and improve. The year 2001 brought Miss Patti Law, our Choreographer in house, and opened the Golden Chain Theatre School of Performing Arts. The Lobby and Auditorium were given a new look, and a brand new parking lot was installed for patrons, and the cast and crew. 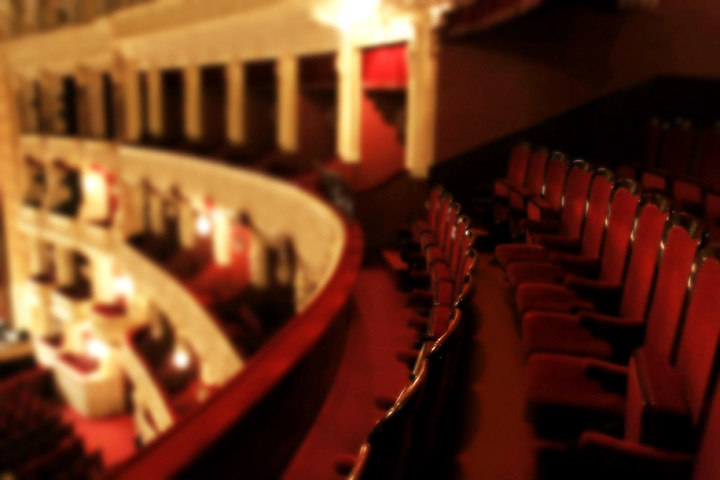 The Golden Chain Theatre is a 501c(3) non-profit community theatre dedicated to the preservation of 19th century historic and melodramatic productions. Celebrating our 39th consecutive season in 2005, our 17,965 square foot facility offers seating for 265 patrons cabaret style, a family-friendly saloon, our newly formed School of Performing Arts and the Patti Law-Poggi Dance Studio.